Quincy is a growing city in southern Grant County, Washington. It is located in the central part of the state near Wanapum Lake and the Columbia River. 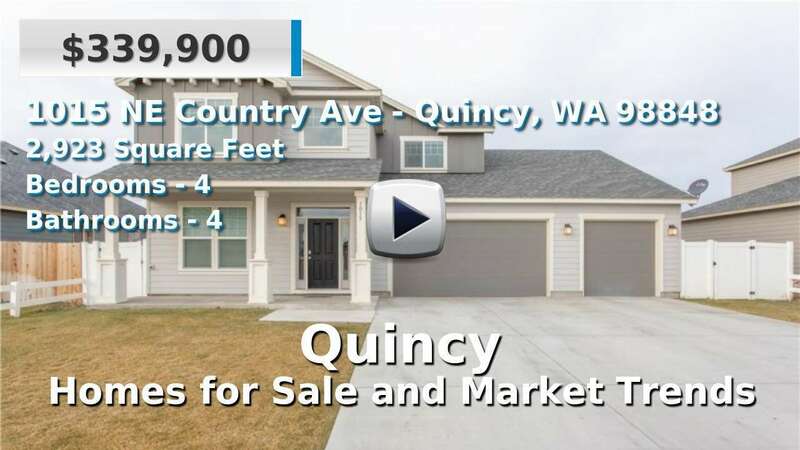 Thanks to the geography of the Columbia Basin, cities here are well spread out; with a population of 6,750, Quincy is one of the larger cities around. It is also the closest major city to the Gorge Amphitheatre, a widely known outdoor concert and entertainment venue, which helps the area's tourism greatly. Though it has no close neighbors, Quincy is located between Wenatchee and Ephrata. Homes and condominiums for sale here vary older to newer, and commutes are often under 20 minutes. 2 Beds | 1.75 Baths | 1280 sq. Ft.
1 Beds | 1.75 Baths | 1280 sq. Ft.
3 Beds | 2.5 Baths | 2619 sq. Ft.
1 Beds | 0.75 Baths | 576 sq. Ft.
4 Beds | 3.25 Baths | 2487 sq. Ft.
1 Beds | 1 Baths | 528 sq. Ft.
2 Beds | 525 sq. Ft.
3 Beds | 3 Baths | 1586 sq. Ft.
2 Beds | 2.5 Baths | 1873 sq. Ft.
4 Beds | 4 Baths | 2658 sq. Ft.